Designed to exhibit the flexibility of our Gavern Framework, this theme is a free option that can be adapted to a range of requirements thanks to the extensive layout possiblities this framework provides. 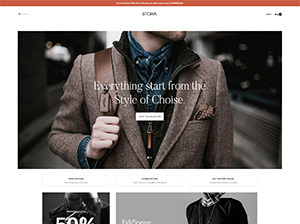 Run a simple blog, or expand the features with our free modules to offer new unique stylizations for a wonderful website. Simple Joomla template built with Bootstrap! Building a site from scratch is a tall order; why not use this bootstrap-based free Joomla 3 template to give you a headstart? Its lightweight design provides a solid setting for professional businesses or more personal sites, with remarkable options provided by our custom framework for Joomla. Free templates are usually lacking in features, but that’s not the case here. Our extensive knowledge of theme design has been applied to add CSS3-powered animations in the header and icons, and responsiveness keeps it looking good across the full range of mobile devices currently on the market. Additional enhancements add flair to your content; advanced typography lets you add buttons, alerts, block quotes, labels and more; plus Font Awesome and Google and Squirrel fonts support for that extra bit of customization. Applying new fonts is easy thanks to an efficient, intuitive options menu. For writing your content, there’s the standard Joomla article manager, or the well-known K2 component, fully-supported for beautiful write-ups. The template settings include full layout controls to get the look you need for your site, logo and copyright settings, a social API for social media sharing of your content, and support for the European cookie law for easy adherence. Meet Gavern is ready to go, so download it now at no charge and get creating! Fancy letting people know about your love for riding? K2 component support and stunningly-designed blog pages give you the freedom to share your experiences and add a personal touch to your website, something that your users will surely appreciate.